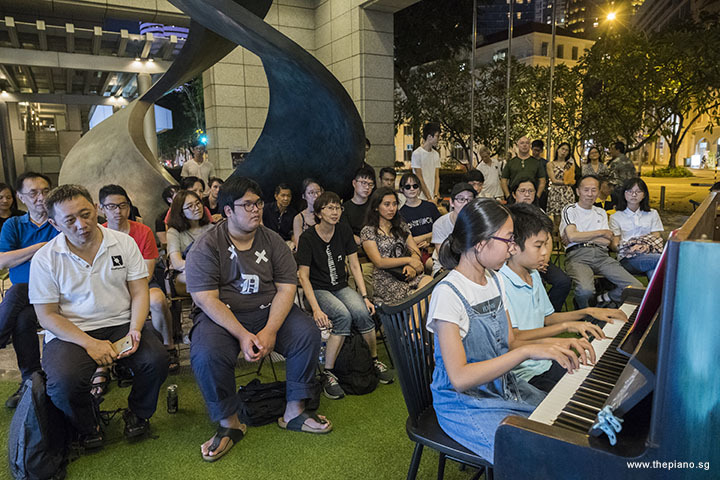 Welcome to Pianovers Meetup #107! 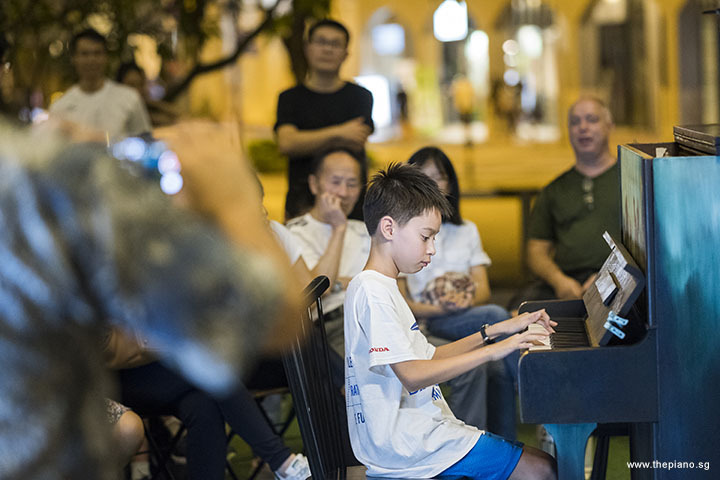 Since July 2016, ThePiano.SG brings people who have a deep passion for the piano together, regardless of their age, race, and gender. 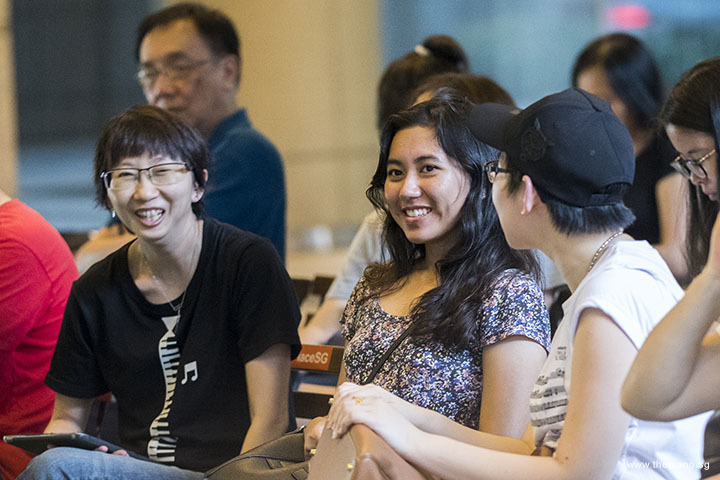 We have been building a community where enthusiastic music lovers gather at The URA Centre. Before the Mini-Recital started, a few Pianovers met early to have dinner together. 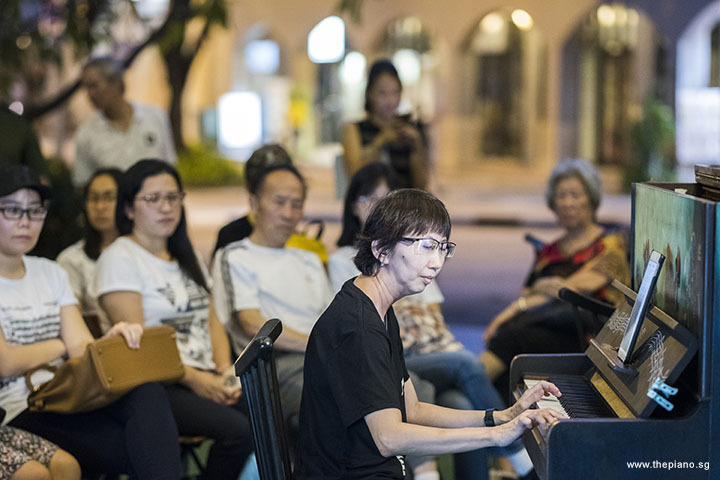 This evening, we had Elyn Goh, Zafri Zackery and Grace Wong joining ThePiano.SG Founder Sng Yong Meng at dinner. 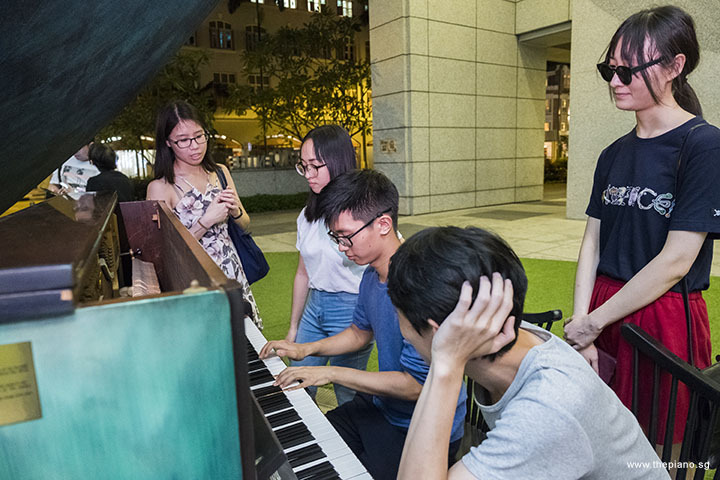 After dinner, they all walked back to The URA Centre, appearing just in time as the other Pianovers arrived at the meetup. 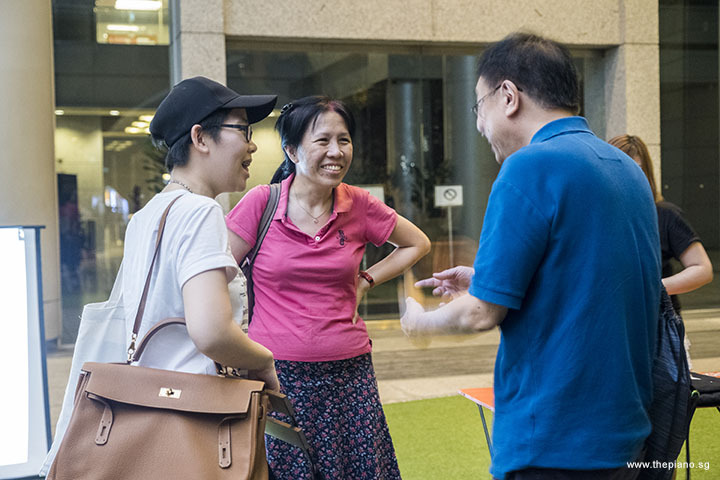 At today's meetup, the entire Executive Committee of the Piano Ensemble (Ivory Keys) from Singapore Management University (SMU) was among us. 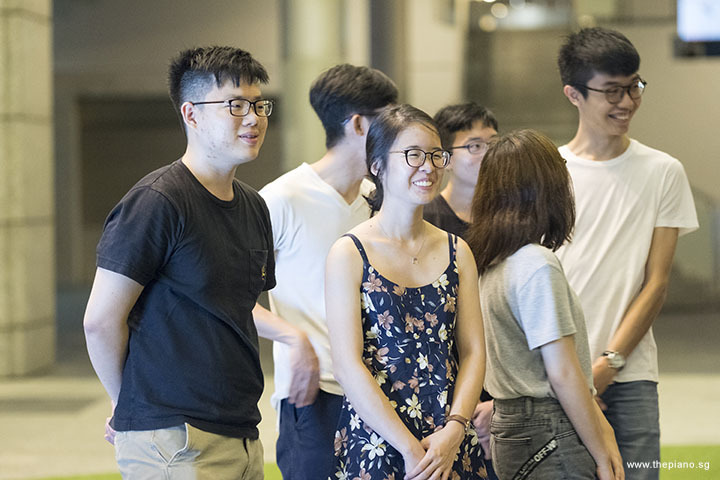 We welcomed Hong Ee, Germaine, Emmanuel, Joshen, Joon, and Grace to this week's Pianovers Meetup. We are also very excited to welcome many newcomers tonight - Francis, Merlina, Shermeen, Cassandra, Davy, Deon, and Serene. It was time for an announcement. 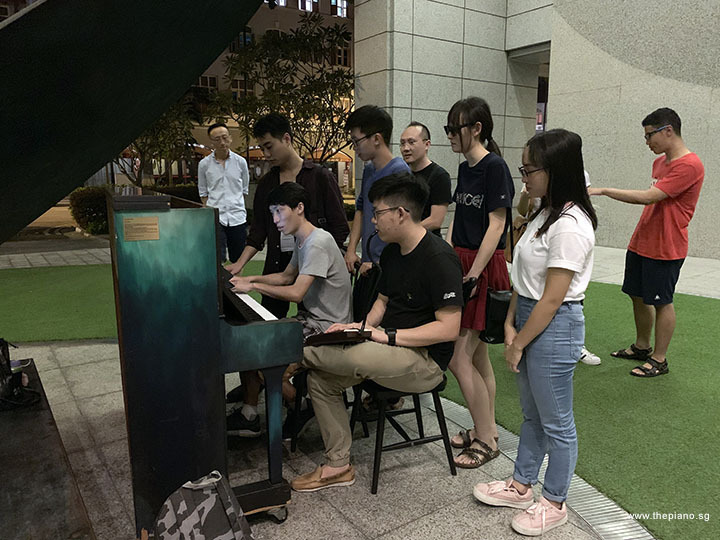 Pianovers Meetup #110, on 27 January 2019, will be a Chinese New Year-themed Meetup. 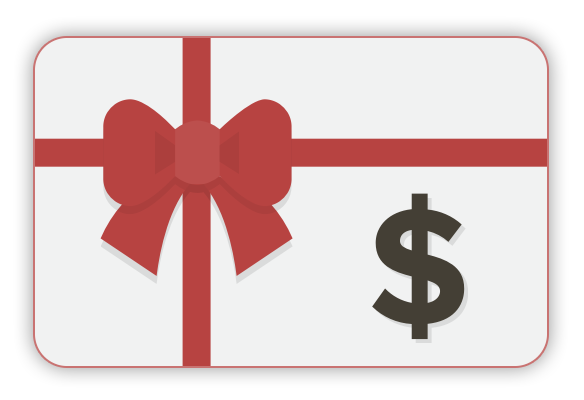 And following that, there will be no Meetups for three weeks, on 3, 10 and 17 February due to Chinese New Year. 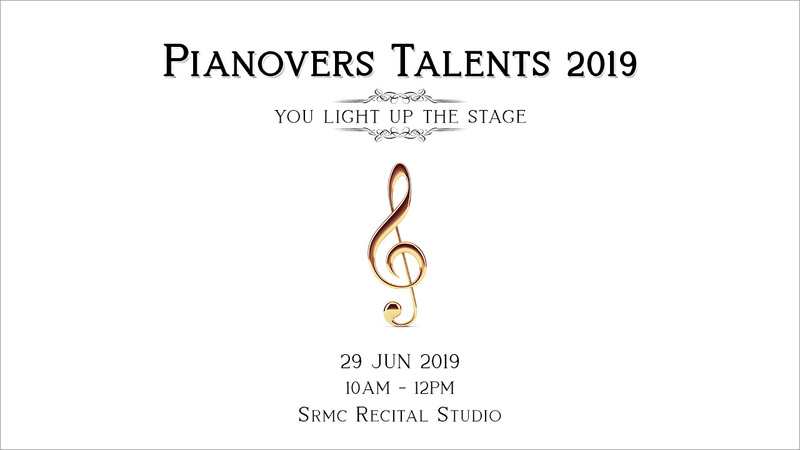 Pianovers Meetup #111 will resume on 24 February 2019. Gavin Koh began the Mini-Recital with his first performance, You Don't Bring Me Flowers by Neil Diamond. This song was released in 1978, and is about a couple in a drifting relationship as they go through the motions and sorrows of life together. This song is very similar to "My Way" which was popularised by Frank Sinatra in 1967. The original title of "My Way" is actually "Comme d'habitude", and this French song is about the routines in a failing relationship. Gavin then performed another song Papa, Can You Hear Me? By Michael Legrand. Lucas Cheong was next, and he performed Fantaisie-Impromptu in C# minor, Op. posth. 66 by Chopin. This piece was composed in 1834 and published in 1855, after his death. Chopin indicated that none of his unprinted compositions should be released; nevertheless, this piece was published. Though the Fantaisie-Impromptu is famously known to be one of Chopin's most commonly performed pieces, it is still unknown today why Chopin refused to release this piece. In 1962, Rubinstein speculated that the words "Composed for" in place of a dedication imply that Chopin received payment for this piece, so he had actually sold it to a Baroness. It looks like the mystery was solved. 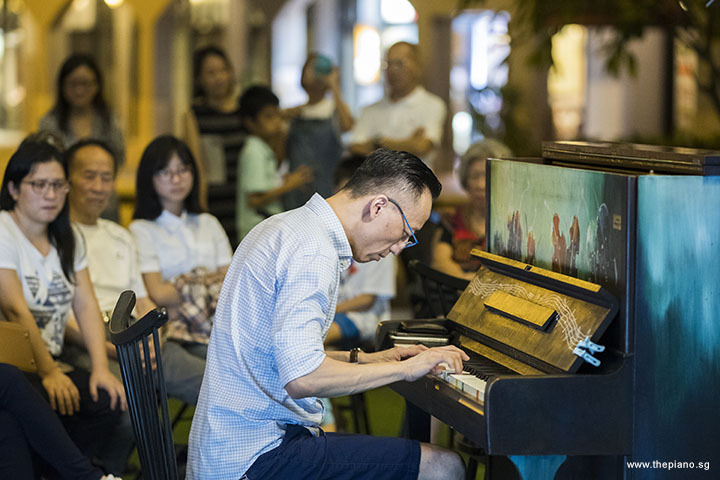 After Lucas's performance, Pek Siew Tin performed 偶然 by 吴统雄. 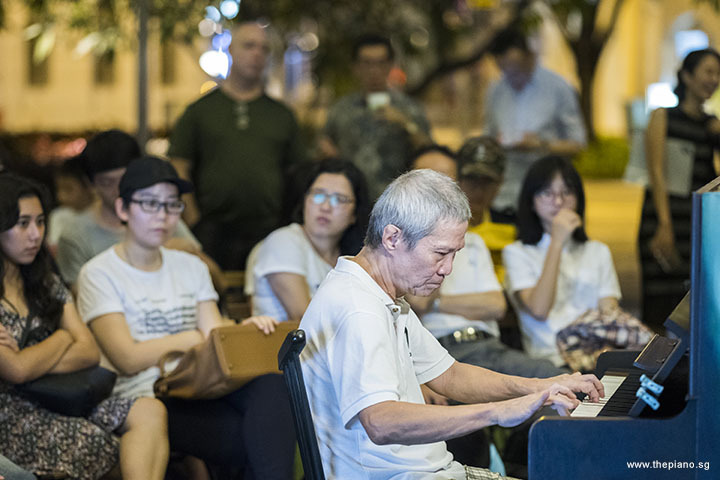 Composed in 1974, this campus folk song was written by a Taiwanese university student, Wu Tongxiong and other counsellors. However, for unknown reasons, this song was credited to 林伯宜 or 劉家昌 (Liu). In 2010, Wu Tongxiong and a group of students wrote to Mr Liu requesting him to clarify that it was not his work. Mr Liu then released a statement explaining that he didn't claim the copyright or received royalties for this piece. Mr Liu even remarked Mr Wu's actions showed a lack of ethical standards. 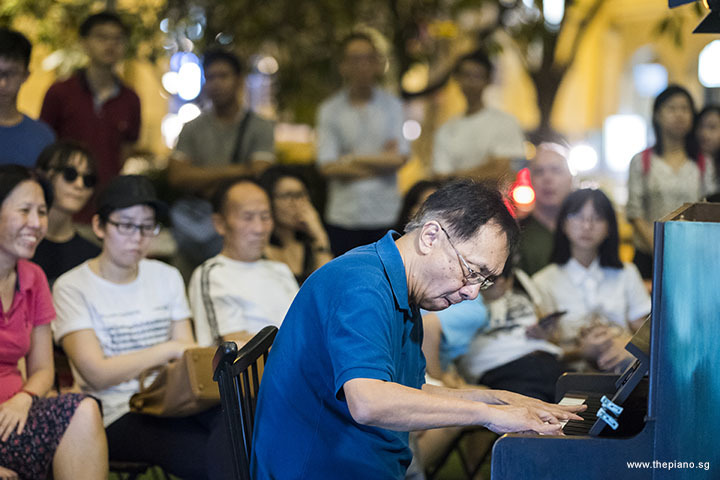 Albert Chan went up to the piano next and played 安平追想曲 by 许石. This piece is a Taiwanese song published in 1951, which was initially sung by 鍾瑛, and later covered by Teresa Teng. This piece is about a merchant's daughter during the Qing Dynasty. She was in a relationship with a Dutch surgeon and had with him, a blond-haired daughter, Miss Jin. The Dutch surgeon failed to keep his promise, and left them. Suffering the same fate as her mother, Miss Jin fell in love with a foreigner and waited for her lover obsessively by the port. The majority of Taiwanese believes that this song is based on a true story and thus, the academic community is constantly exploring if it is true. Albert then performed another song 港町ブルース (Minato-machi Burusu) by 猪俣公章. Gan Theng Beng was up next, and he performed Take Me Home, Country Roads by Bill Danoff, Taffy Nivert, and John Denver. This song is still trendy till today even though it was released in 1971. This song has sold more than a million digital copies in the United States and became the most popular song by John Denver. This song, in fact, became so popular that West Virginia passed a resolution to make this song an official state song in 2014. Three other pieces, "West Virginia Hills", "This Is My West Virginia" and "West Virginia, My Home Sweet Home" were also passed. Next was a duet performance involving Esther and Edward. They performed Skater's Waltz, Op. 183 No. 2 by Émile Waldteufel. 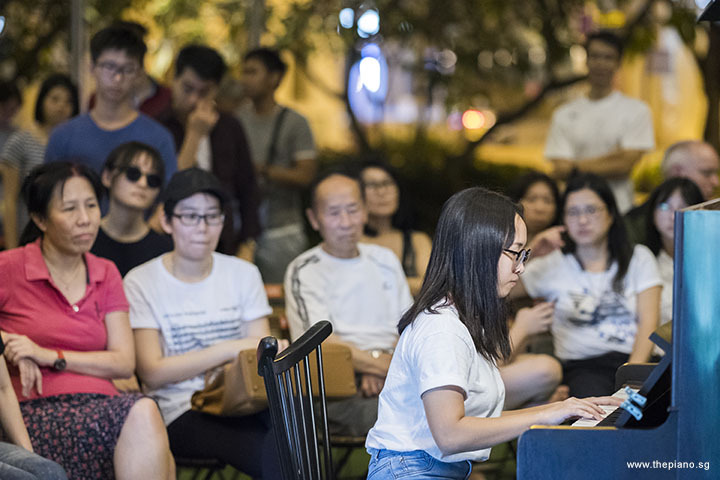 Before the performance started, Esther took over the mic and expressed her heartfelt thank you to her piano teacher, Corrine Ying, for bringing her here. It was such a heart-warming scene to watch. 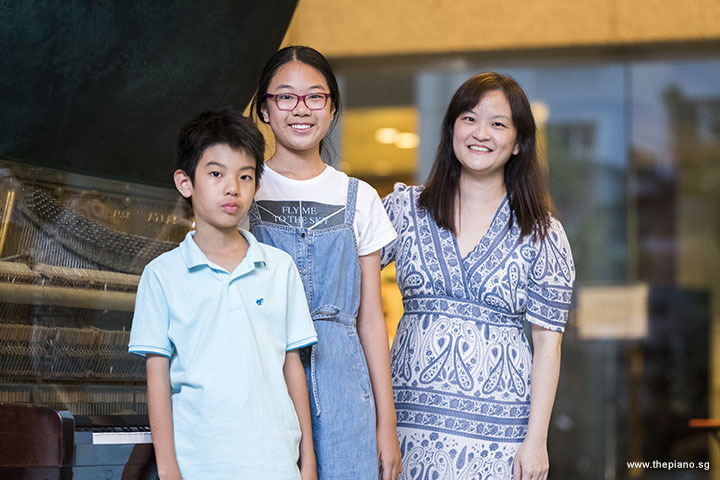 Esther was the first piano student to thank her piano teacher in front of everyone. The piece they performed was composed in 1882. It was inspired by the "Cercle des Patineurs" or 'Rink of Skaters' at the Bois de Boulogne in Paris. This song uses images of a skater’s composure and the dreamy winter scenes. It has been used in many movies and games such as in the TV series "Daredevil". It was also featured in Nintendo’s 2005 video game, "Dance Dance Revolution Mario Mix". In this game, the song was remixed and played as Mario escapes an avalanche. After this performance, they each played a solo piece. 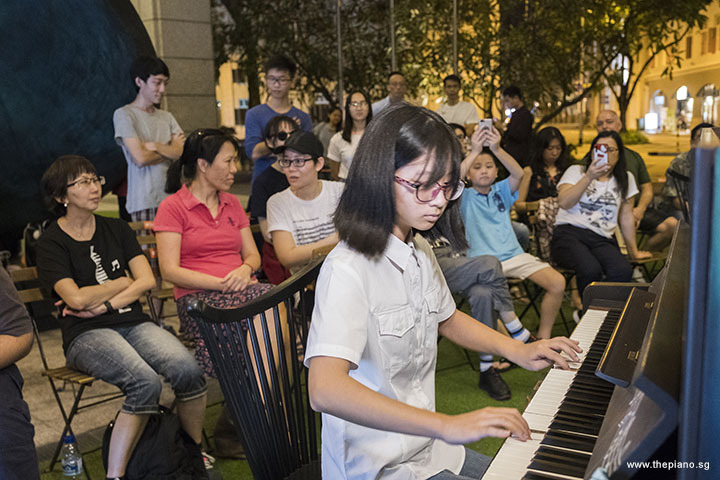 Esther performed Sonatina in E-flat, Op. 19, No. 6, 1st movt, Allegro by Dussek. Edward performed Humoresques, Op. 101, No. 7, Poco lento e grazioso (G flat major) by Antonín Dvořák. 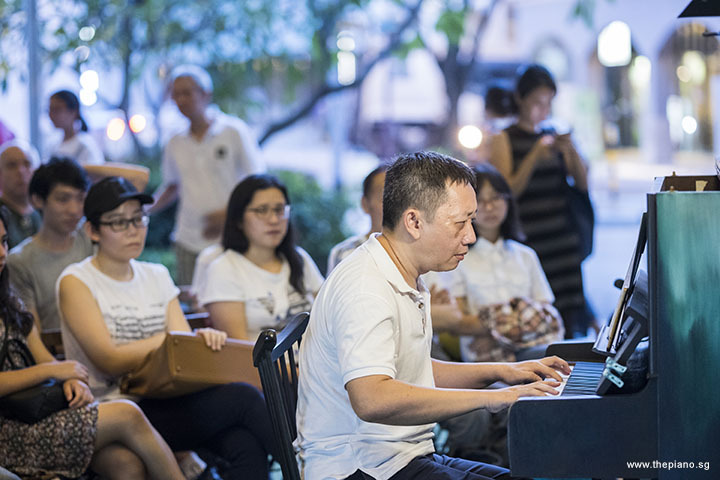 Yu Teik Lee performed 雪落下的声音 by 陆虎. This piece was used in the 2018 TV series 延禧攻略 (Yanxi Palace). The TV series focuses on a palace maid and how she rises up to become the royal concubine of the Qianlong Emperor through her courage, wit, and selfless attitudes. 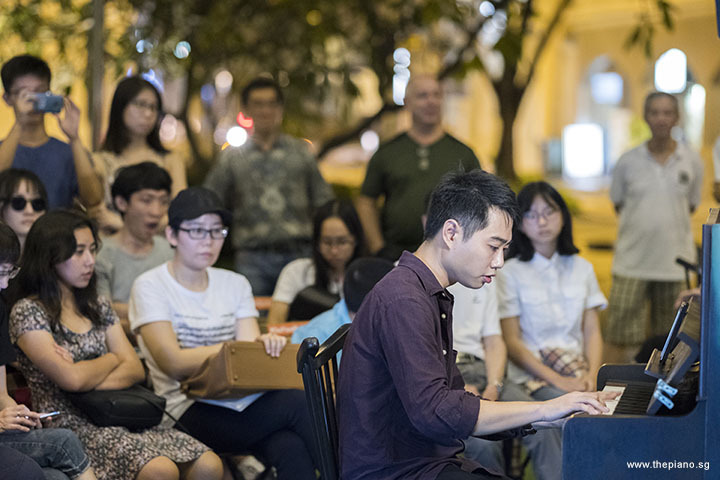 Rony Ang was up next, and he played 约定 by 陈小霞. 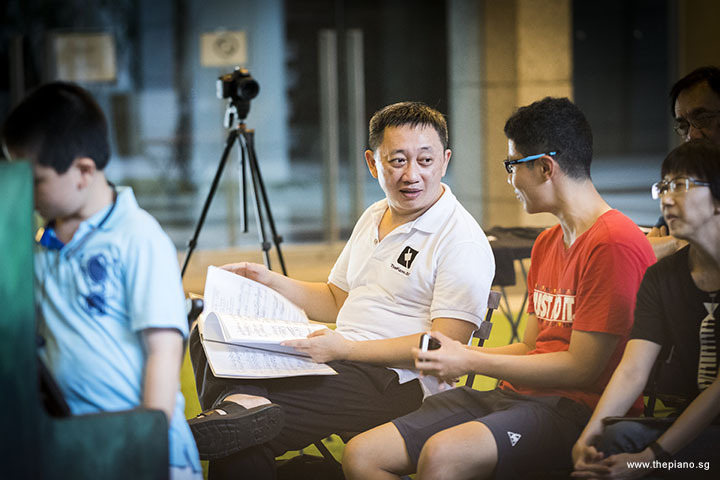 This piece was initially recorded by Faye Wong, in Cantonese and released in 1997. 周蕙 Zhou Hui then covered this song in Chinese in 1999. There is also another Cantonese version covered by Jackie Cheung during his live concert in 2004. Tyler Pettit performed Breakfast in America by Roger Hodgson, which was released in 1979 in the same title album. It won two Grammy Awards in 1980, and became Supertramp's biggest-selling album. The lyrics are about the fantasies of a person who has never been to the United States. 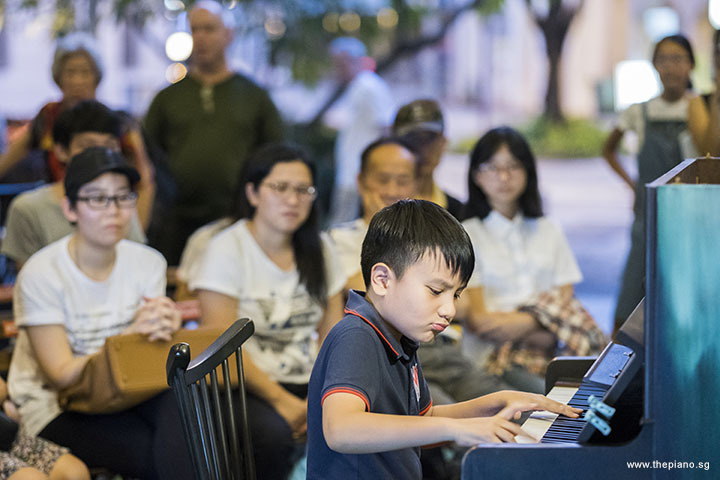 Today, Tyler was here for the second time with his parents, grandmother, and his uncle, Chris Khoo, who is our regular Pianover. Chris invited Tyler to be here. We are also pleased to meet Tyler's father, Keith for the first time. His profession is related to us. He's a piano tuner! Grace Wong performed Estampes, L.100, 1st movt, Pagodes by Claude Debussy. 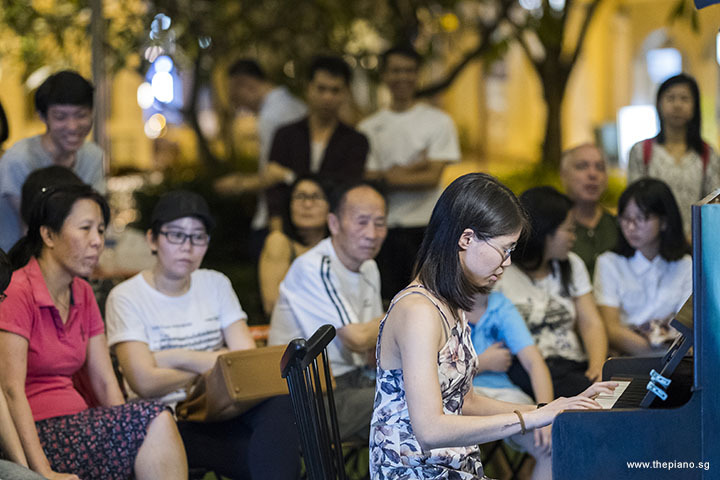 Composed in 1903, this piece invokes images of East Asia, which Debussy first heard in the 1889's Paris Conference Exhibition and then again in 1900. This piece was composed with traditional Indonesian melodies in mind; some parts of the music features Javanese gamelan percussion. It also features the extensive use of pentatonic scales. Debussy has marked that "Pagodes" should be played "presque sans nuance", or "almost without nuance", to guide the performer to maintain the rigidity of rhythm, and reduce the natural inclination to add rubato and excessive expression. This does not, however, implies the tempo's rigidity. Instead, the tempo gradually changes in speed throughout the piece, which is very commonly seen in gamelan compositions. Kendrick Ong Bing Shao was up next, and he performed a Medley of Cantonese songs, comprising seven trendy Cantonese pieces, 帝女花, 半斤八两, 上海滩, 偏偏喜欢你, 红日, 夜半歌声, and 友情岁月. Some of us started to hum along as he played the medley. 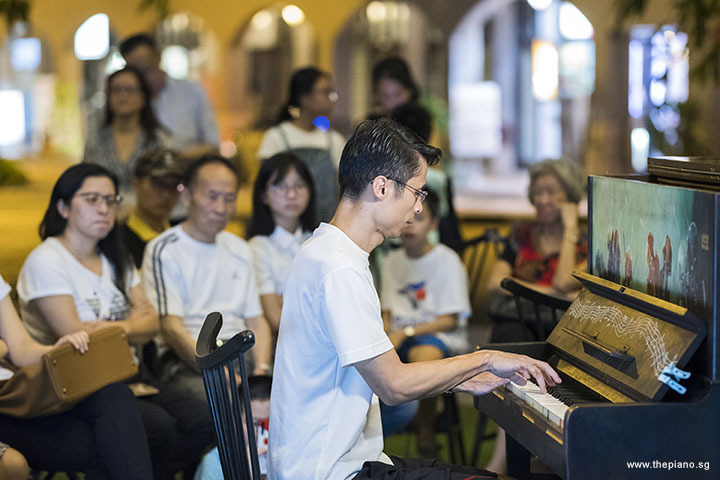 Lai Si Zhu performed Laputa: Castle In The Sky by Joe Hisaishi. It was composed for a Japanese animation film of the same title produced by Studio Ghibli. The plot is about the mystical adventure of a young boy and girl searching for a floating castle. While searching for the castle, they must also protect a magic crystal from the wrong hands. 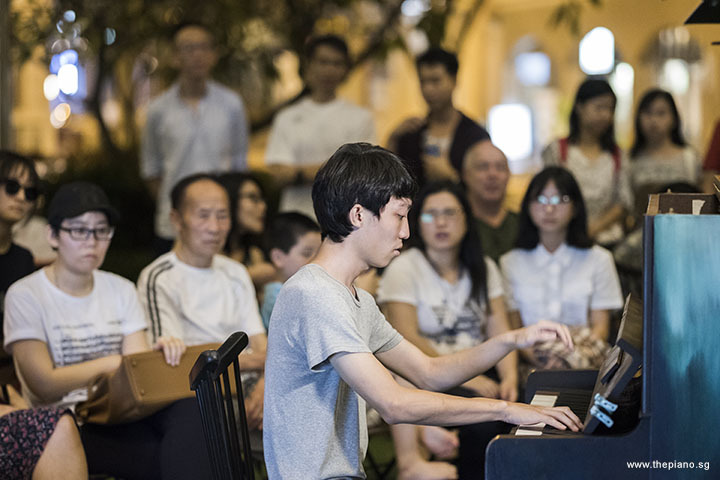 Today was Si Zhu's debut performance with us! 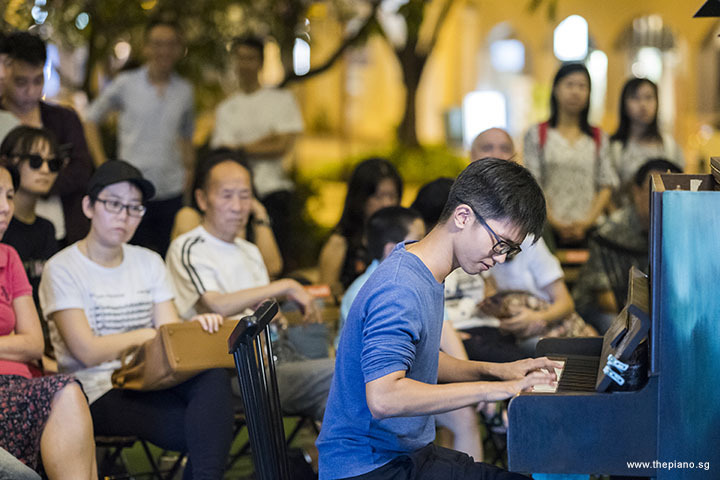 Her brother, Si An has performed with us before at Meetup #101. We look forward to watching their performances in the future. Next was Ma Yuchen, and he performed Ballade No. 1 in G minor, Op. 23 by Chopin, who wrote a total of four ballades. 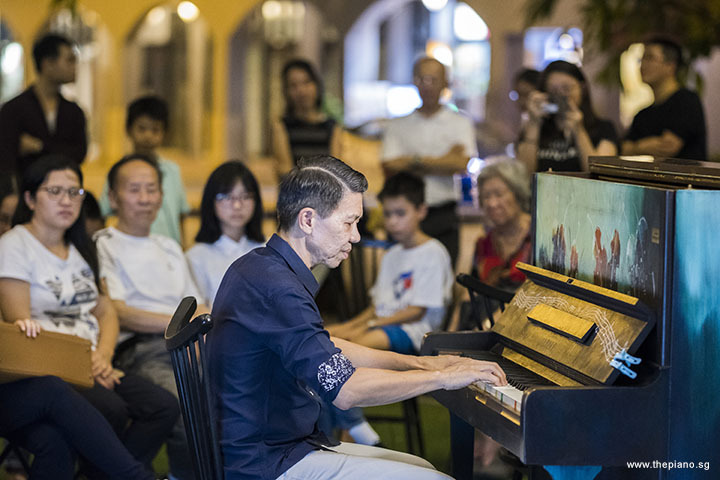 Among the piano community, his ballades are known to be some of the most challenging pieces in the standard piano repertoire, and are frequently performed in concerts. It said that Chopin was the pioneer of the ballades as an abstract musical form. And these ballades, subsequently, influenced composers such as Franz Liszt and Johannes Brahms, who also wrote their own ballades. Wang Jiaxin performed Flower Dance by DJ Okawari, which was compiled in his 2011 album, Kaleidoscope. This piece is a remix of the original background music used in the 1960's film's dialogue, "Assignment: Outer Space". 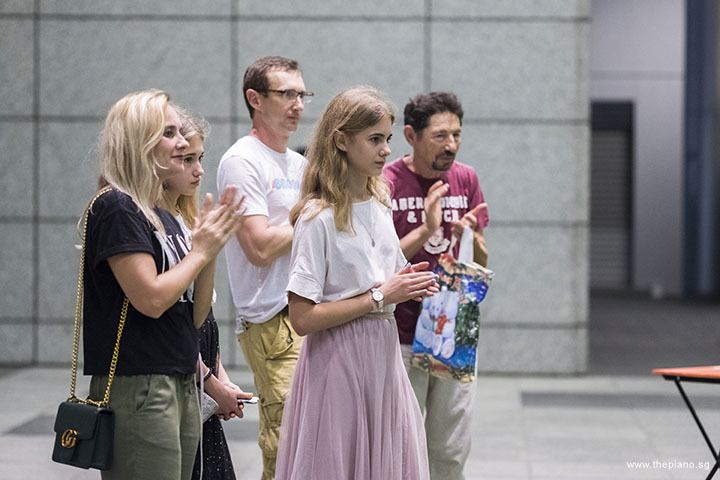 During Jiaxin's performance, a group of tourists stopped by and joined us to give Jiaxin an applause! Today was Jiaxin's first debut performance and his first Meetup attendance. We hope to see him perform again in the future. Janice Liew was up next, and she played Auld Lang Syne. It is a traditional Scots song performed when the clock strikes twelve on New Year's Eve. It is a way to bid farewell to the old year, and is also used as a song at funerals, graduations and farewells. The international Scouting movement across the globe also uses this song to close festivals and celebrations. This song, in fact, was listed in Roud #6294 as part of the Roud Folk Song Index. Max Zheng played Remember Me (from Coco) by Robert Lopez. This song was featured in the 2017 animated Pixar film, Coco. The plot is about a 12-year-old named Miguel who gets sent to the Land of the Dead. Desperate to return to his family, Miguel seeks the help of his deceased musician great-great-grandfather. This song became so popular that many families adopted it as a way to help their kids cope with death, loss or change. Amos Ko performed Nocturne in B flat minor, Op. 9, No. 1 by Chopin. Amos has been attending the Meetups for a few months; however, this is the first time he has decided to perform for us. 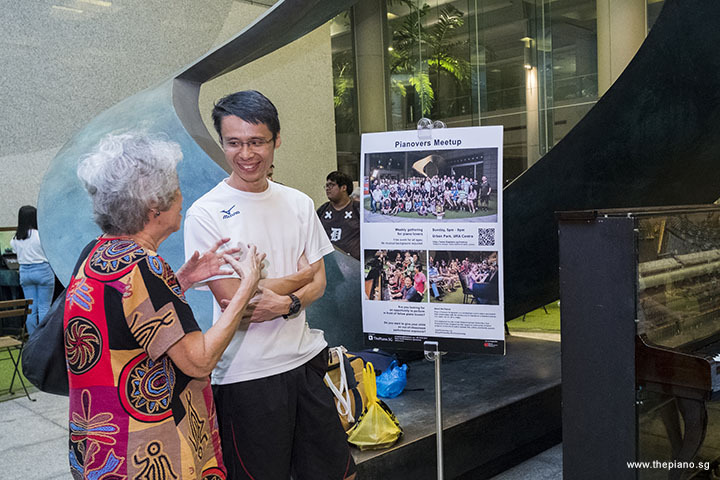 Yong Meng shared about him being very thoughtful and caring towards the Pianovers community. 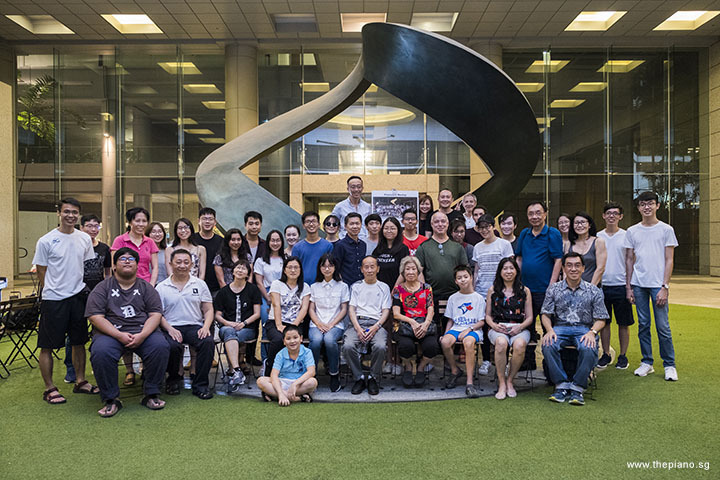 During the time when we were preparing for Pianovers Recital 2018 to celebrate our 2nd anniversary of Pianovers Meetup, Amos went to Canada for a family reunion. He sent a picture of himself to Yong Meng from the Collingwood Ski Resort with a note - "Wishing all at PIANOVERS a Merry Christmas and Happy New 2019!! Best wishes from Amos Ko at Collingwood Ski Resort Canada and wishing everyone a successful and marvellous anniversary concert!" Last but not least, Esther Tang performed 那些年 by 木村充利. This piece was the central theme in the 2011 Taiwanese romantic film, 那些年 (You Are the Apple of My Eye). 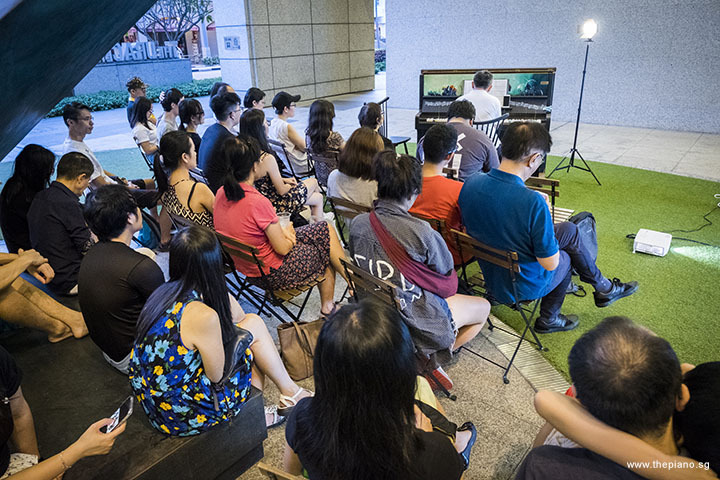 The movie became very popular among the public and was nominated for Best Original Film Song at the 48th Golden Horse Awards. Esther also performed another song, 缺口 by 木村充利. 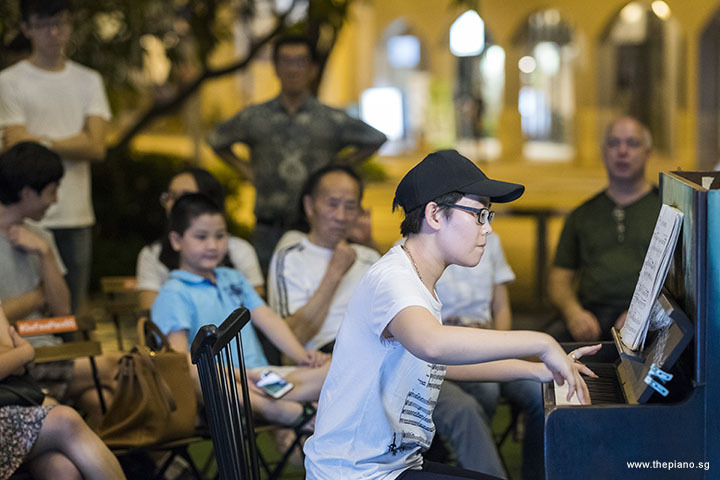 Following the end of the Mini-Recital, the evening moved to the Open Segment. 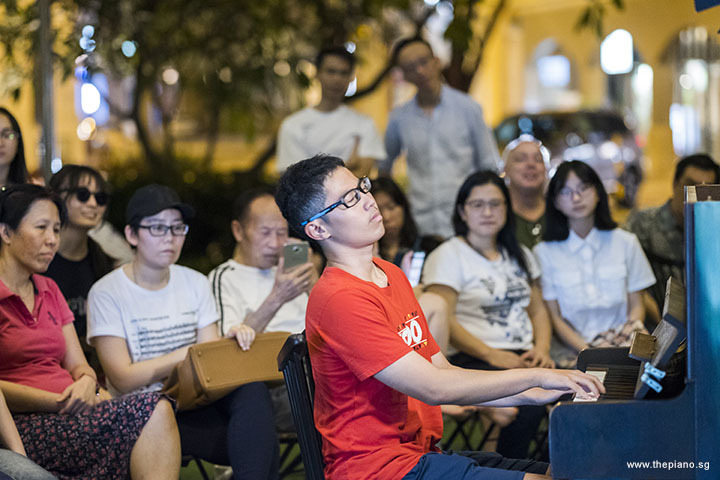 Everyone took a group picture, and after that, many Pianovers started to chat with each other. As usual, the jamming party started, and it continued till way past 10pm. 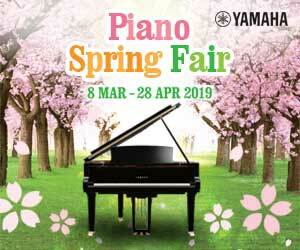 Joon even brought a Pianica to jam with the others! How fun! 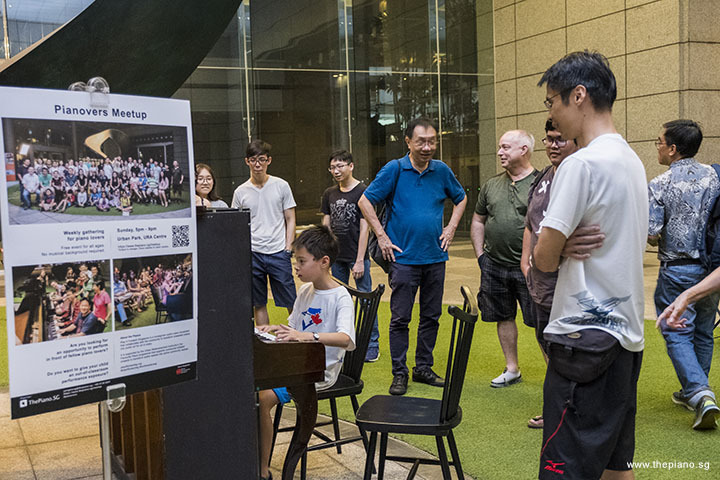 Thank you, Pianovers, for another wonderful evening at Meetup #107. We hope to see all of you next Sunday at The URA Centre.